This successful information technology company chooses Tyco Security Products’ hattrix access control system for ten locations and more than 600 card holders spanning seven states. ID Solutions is an information technology company based in downtown San Diego, California, that provides software and hardware to a variety of clients. Founded in 2006, ID Solutions specializes in providing web-based solutions and technology strategies for small- to medium-sized businesses using a number of platforms, network technologies and its staff’s programming expertise to meet its clients’ needs. states on the hattrix system for one of its clients. Among ID Solutions’ customers is a multi-state law firm that specializes in representing financial institutions in banking law matters, including mortgages in default. 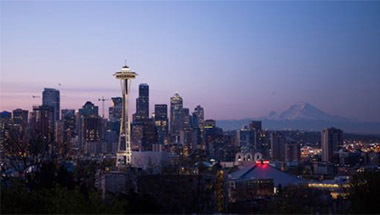 The firm provides services in California, Nevada, Arizona, Washington, Oregon, New Mexico and Colorado and owns 10 different office buildings across these states. ID Solutions provides information technology support and management for the entire firm and all of its locations. The ten buildings owned by the law firm house not only their satellite partner law offices, but are also home to a variety of businesses that rent space from the firm. 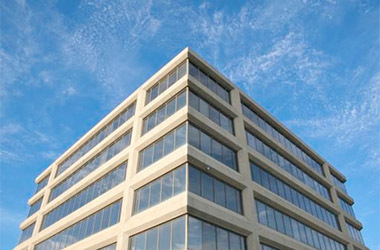 Tenants include commercial real estate and property management businesses, retailers and restaurants. With several office buildings across seven states and with multiple tenants, the law firm sought to simplify its control of access points to and within its properties. Prior to the project, each building had its own access control system and badging, with no way to monitor all building activity in one place. It also was onerous to add new users and badges to the system, which the firm hoped would change with a new system. 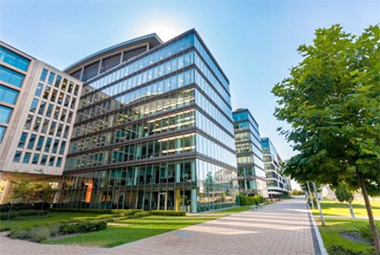 As the technology strategist and the provider of property management services for the law firm, ID Solutions was responsible for the firm’s new system, which would be centralized and able to monitor doors in the firm’s properties. ID Solutions also needed to be able to issue and revoke access remotely and as needed, according to business needs and changes in tenancy. The centralized management of the properties’ doors and access would also make everyday problem resolution, maintenance, and reporting much easier. ID Solutions turned to security systems integrator California Commercial Security (CCS) when it came to choosing a solution that would meet the needs presented by the firm’s multiple properties and 600 cardholders. CCS, also based in San Diego, specializes in security systems for commercial clients and offers managed and hosted access control solutions, in addition to fire, alarm, intrusion detection, video surveillance and other physical security solutions. The firm’s multiple properties, tenants and locations could not be managed collectively from one vantage point prior to the project. Each of the 10 locations had separate access control, surveillance and intrusion systems installed and those were operated and maintained separately from the other buildings’ systems. ID Solutions specifically sought a solution that could continue to grow – a scalable access system capable of integrating with other security systems – and based upon the recommendation of CSS, planned to eventually integrate all security systems together in a single user interface. As an initial first step in a broader, long-term project, ID Solutions wanted to focus on improving the access control system and addressing operational challenges. The disparate access systems made simple tasks such as granting and revoking access challenging, particularly with multiple tenants in some buildings who needed access not only to certain perimeter and common area doors, but also to certain doors within their specific businesses. ID Solutions and CCS identified the need for reporting on employee card activity, the ability to audit badges and an interface that could be used by the company’s human resources department. ID Solutions also wanted to be able to grant and revoke card access remotely using a mobile phone application or web browser. This would reduce staffing needs and would mean a security staff member’s physical presence would not be required at any specific location to resolve issues. With the help of integrator CCS, ID Solutions identified Tyco Security Products’ cloud-based Kantech hattrix security service as the best fit for the properties. ID Solutions opted for CCS’ hosted service in which all access control data resides in secure cloud-based servers managed by CSS. With this approach, CSS hosts the system’s database, server applications and hardware infrastructure, and also provides the initial configuration of the system and its components, updates and advanced software changes. ID Solutions staff members perform day-to-day tasks such as adding users, changing access and creating access levels and schedules as needed. data to secure, full-supported cloud-based servers. The Kantech hattrix solution allows ID Solutions to monitor and maintain all of the properties simultaneously, including their 76 doors. Lopez said security staff members can maintain and monitor the access control system using EntraPass Web and and/or via a mobile device using the EntraPass Go mobile application. The company’s human resources department can add access cards for new employees or delete cardholders who are no longer with the company, also using the mobile/web-based portal. The new access solution moves some of the system support responsibility to CSS, thus easing the support burden on ID Solutions as well, an important benefit to Lopez. With fewer staff needed, increased support, and the outsourcing of infrastructure and its hardware purchase and maintenance costs, ID Solutions has reduced the costs associated with its security systems, one of the project’s initial goals. A significant benefit of the new access control solution is its ability to integrate with ID Solutions’ DSC intrusion system. The DSC/Kantech integration is currently being used with six of the 10 properties and is the first time ID Solutions has been able to integrate its access and intrusion security systems together. intrusion for comprehensive, remote management. Due to the success of the first 10 installations, ID Solutions is in the process of implementing the same Kantech /DSC integration for the firm’s eleventh property, which is located in Texas, with plans to do the same in a twelfth building shortly thereafter. The convenience of remote, centralized management afforded by the project has provided ID Solutions with the consistency and reliability that the company had been seeking. With the hosted solution, the company has moved the systems’ infrastructure, hardware and some support offsite, saving valuable time and money for security staff and the company at large. “The new integrated access control and intrusion system prepares the company well for continued growth and enables us to adapt quickly to any unforeseen changes in the office spaces and tenants that we support,” says Lopez. ID Solutions is a software development and solutions consulting company that specializes in providing a wide range of web-based solutions and internetrelated strategies for small to medium-sized businesses. With a strong understanding of business technology goals combined with the flexibility of a number of platforms, network technologies, and programming expertise, ID Solutions delivers unique solutions that are customized to its clients’ requirements, allowing them to focus on their core business. For more than 15 years, California Commercial Security (CCS) has provided comprehensive, quality security products and services to clients in Southern California. CCS offers clients personalized services and unique physical security solutions that are customized to the specific requirements of their commercial space. CCS strives to be the trusted advisor for its clients and to provide a customer experience that is next to none.